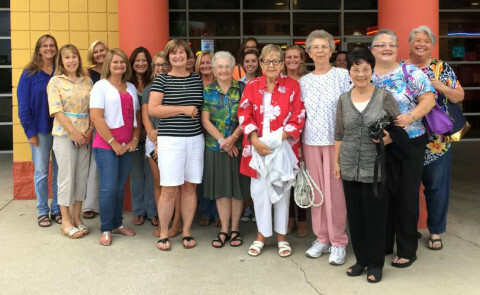 The Women Ministry at New Smyrna Beachside Baptist Church encourages women to grow in their faith in Christ, to develop and strengthen intimate friendships with other women, and to provide opportunities to serve and reach our community for Christ. Bible Studies are offered throughout the year and are open to women in the community who want to study God’s Word and fall more in love with Jesus and each other. Our purpose is to bring women of all ages together for fellowship and growth and to reach out to the community with the message of God’s love as demonstrated through Jesus’ life, death and resurrection. For more information, please contact us.